Ligambi has been in the Federal Detention Center since his indictment and arrest in May 2011. But attorney Edwin Jacobs Jr. argued that his client's situation has changed substantially since prosecutors successfully argued to deny him bail after his arrest. Jacobs argued at the time, and now contends that this month's jury verdict confirms, that Ligambi is not the violent organized crime leader that prosecutors say he is. Jacobs said a jury rejected the bulk of the government's case against his client and six co-defendants when it delivered a split verdict in the racketeering conspiracy case earlier this month. Ligambi was found not guilty of five charges. The jury was undecided -- hung -- on four others. More important, Jacobs argued, the not guilty verdicts applied to two counts of extortion, the only alleged violent crimes for which Ligambi faced trial. "The jury rejected more than ninety percent of the allegations constituting a `pattern of racketeering' alleged by the government," Jacobs wrote in a 13-page bail motion, adding that despite the government's claim that the evidence against (Ligambi) was `strong,' the jury failed to convicted him on any of the nine counts for which he was charged." 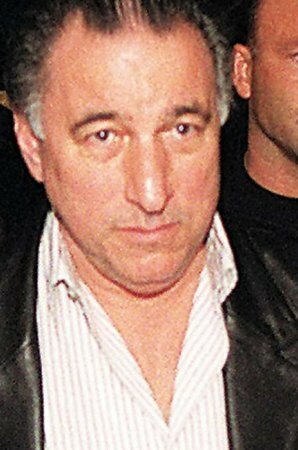 Among other things, Jacobs contended the jury verdicts raised questions about the government's claim that Ligambi was, in fact, the boss of the Philadelphia Cosa Nostra family. In asking for bail, Jacobs also restated arguments he had made after Ligambi's arrest, including the fact that Ligambi has a minimal criminal record with only a gambling conviction from 1988. Ligambi was convicted of a mob murder in 1987, but that conviction was overturned on appeal and he was acquitted at a retrial. Jacobs wrote that the "CEO of a respected Philadelphia-based corporation" has offered Ligambi a job. He did not identify the company. That, coupled with Ligambi's "advanced age" undermines the government claim that if released Ligambi would be a danger to the community, he said. Judge Eduardo Robreno has already denied bail requests from three other defendants in the case, including George Borgesi who like Ligambi was found not guilty of most of the charges he faced. The jury hung on the racketeering conspiracy charge against Borgesi, 49, but found him not guilty of 13 other charges. Paul Hetznecker, Borgesi's court-appointed attorney, has filed notice that he intends to appeal the bail denial to the Third Circuit Court of Appeals. In all, after 21 days of deliberation following a 10-week trial, the jury delivered 46 not guilty verdicts, hung on 11 others and issued guilty verdicts on just five charges. Robreno has tentatively set a retrial date for April 16. Federal prosecutors, however, have not yet announced whether they intend to retry the 11 counts on which the jury hung. George Anastasia can be reached at ganastasia@verizon.net.